Hideo Kojima continues to pour on the complex mystery of Metal Gear Solid V's open-world nature. As the first in the franchise to provide a fully explorable map, many fans are wondering how they are going to progress trough the more linearly designed missions. Will they be able to walk away from parameters or will they be able to make huge circles around bases and enemies they might rather avoid? According to Metal Gear Informer, Kojima has confirmed on his podcast that there will be barriers when choosing to go out on a mission. Go beyond those barriers, and you fail, simple as that. How you approach a mission, be it stealthily or chaotically as you possible can, is entirely up to you, just as long as you don't leave the area of operations. Kojima also mentioned that choosing to tackle a mission is not a simple selection from a menu. 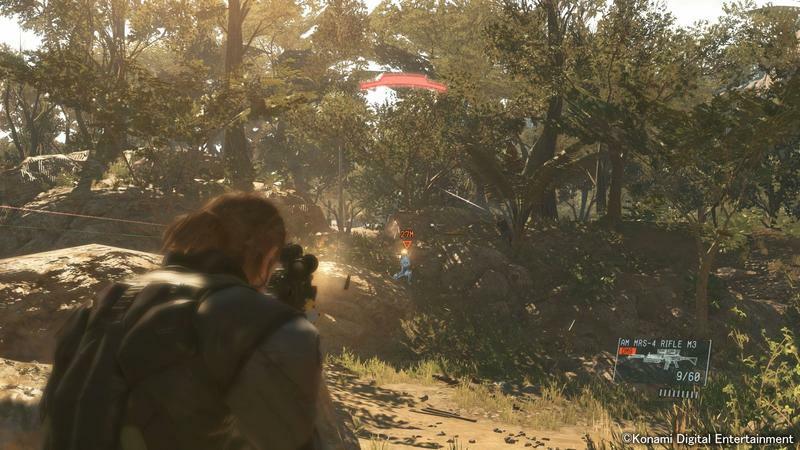 Snake will be able to go anywhere and complete side-missions and other objectives while roaming the map, and he will also be able to accept his story missions straight from the free roaming world, unlike the game's prequel Ground Zeroes, which was entirely menu based. I have no qualms about this. I'm not the biggest fan of scripted missions within an open-world video game, but if a developer does include them, there have to be some restrictions or there is no point. Hideo Kojima has always been great about never breaking the rules of his mechanics in the smaller Metal Gear Solid games, so as long as Snake is able to use everything he has learned from the free-world within these parameters, I'm fine with it. Metal Gear Solid V: The Phantom Pain will be released for the PlayStation 3, PlayStation 4, Xbox 360, Xbox One, and PC in early 2015.